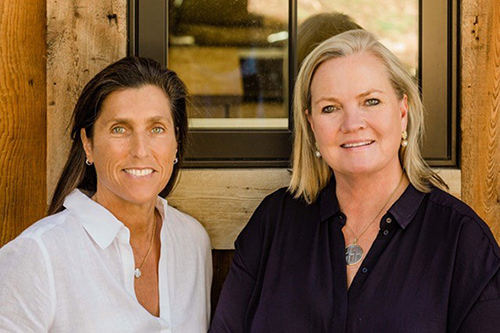 Having spent the majority of their lives living and working in the community, the partnership of Laura and Kristin bring an unsurpassed knowledge about the homes, schools and lifestyle of Marin to their clients. Over the past 40 years they have lived in some of the county's most desirable areas including Sausalito, Mill Valley, Larkspur, San Anselmo and Kent Woodlands. Ranked among Marin's top 10 realtors today, Laura and Kristin have been consistently recognized for their exceptional performance. They are recipients of the Pacific Union Opus Award for top realtors and have been among the top producers since 2008. In 2013, their total annual sales surpassed $50 million. Laura began her real estate experience at Coldwell Banker in Sausalito where she was awarded membership into the Sterling Society in 1997 and 1998, and joined Pacific Union in 1999. Laura serves on the Executive Board of the Parent Association at The Branson School in Ross. She is a graduate of the University of California at Berkeley, and attended Marin Country Day School and The Branson School. Kristin joined Pacific Union and began her partnership with Laura in 2002 following a long career in executive recruitment with several leading area firms. During this period she managed numerous executive relocations to the area, working closely with the families and real estate professionals. Kristin is a graduate of UCLA with dual degrees in business and history, attended Kent Middle School in Kentfield and The Branson School. She currently serves on the Board of Trustees at The Mount Tamalpais School in Mill Valley, and is a member of the Meadow Club in Fairfax. With their demonstrated knowledge of the community and a partnership philosophy based on deeply understanding and responding to the unique needs of their clients, Laura & Kristin are ideally suited to guide you through the entire home buying and selling experience.